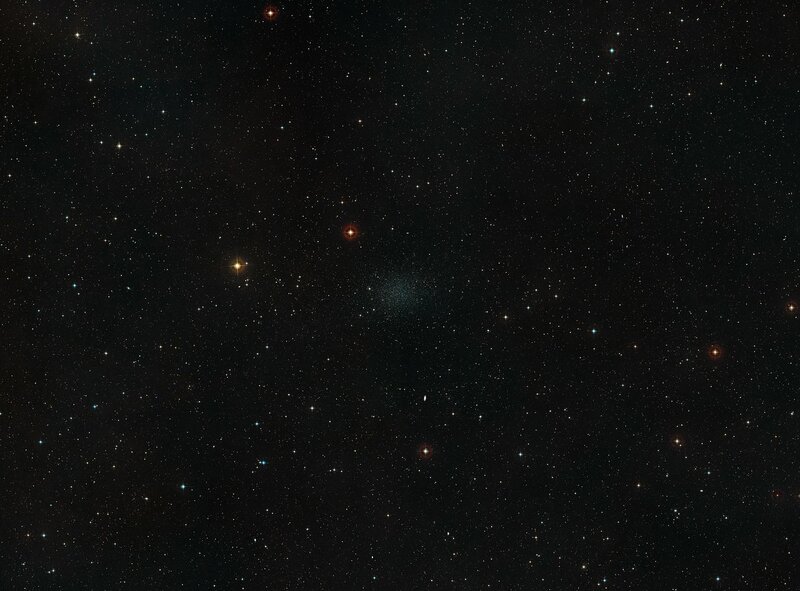 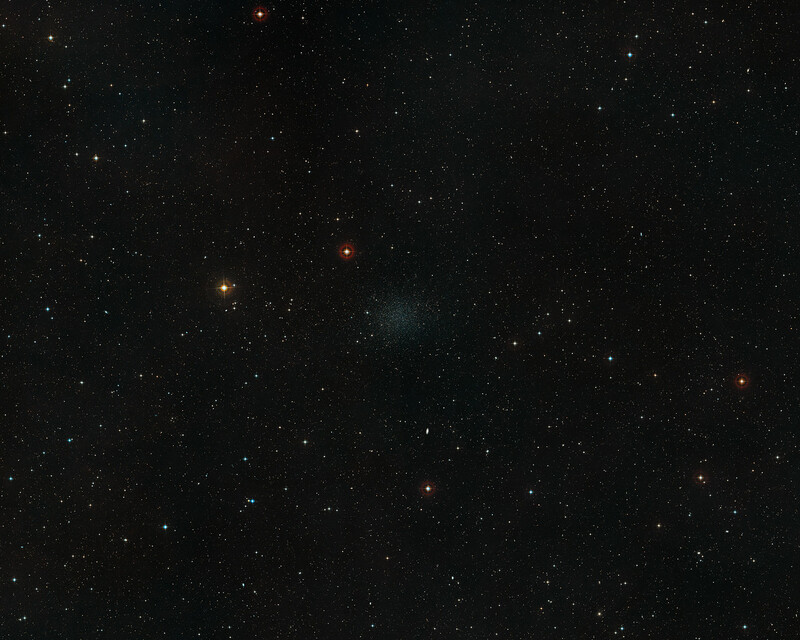 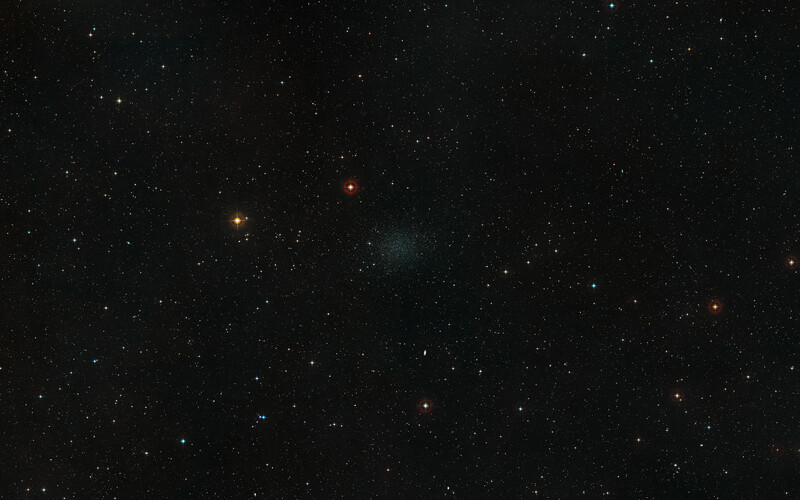 This image of the sky around the Sculptor Dwarf Galaxy was created from images from the Digitized Sky Survey 2. 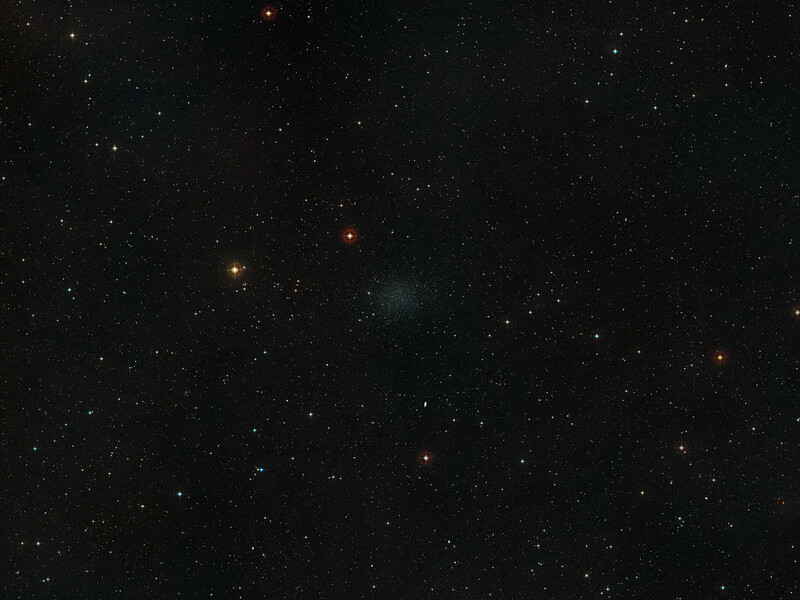 The galaxy appears as a small faint cloud, close to the centre of the image. Position (Dec): -33° 43' 54.78"